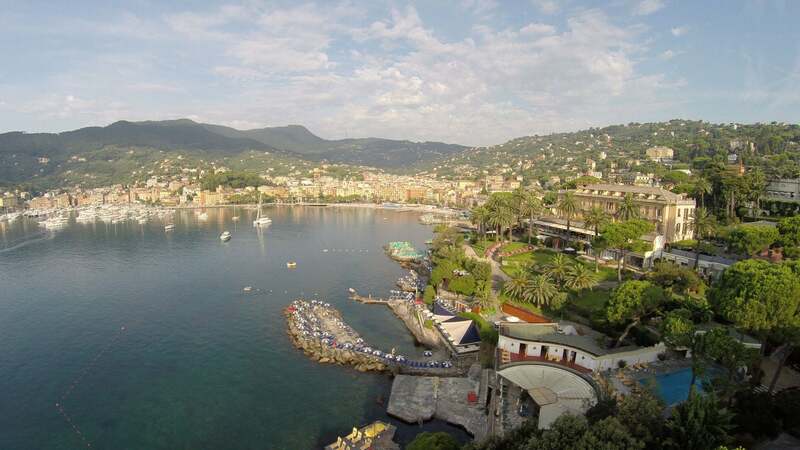 The hotel overlooks the bay of Santa Margherita and the historic harbour. The promontory of Portofino forms the backdrop: it’s a stunning view, which immediately gives the viewer a feeling of being part of the landscape. 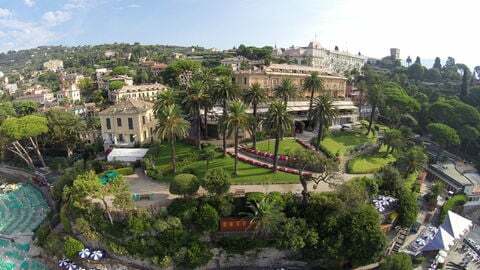 The imposing Villa Durazzo, which dates to the Renaissance and was designed by the iconic architect Alessi, stands watch atop a hill to the west. The paths running through the villa’s expansive park take visitors up to the Church of San Giacomo di Corte, where the Madonna of the Letter is worshipped. 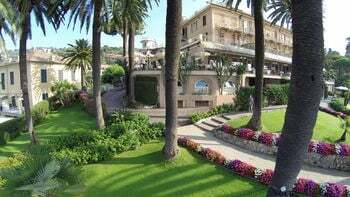 The turreted Villa Spinola dominated the promontory of Punta Pagana to the east. The Orero family built the villa in 1600; today, it serves as a summer residence for the Knights of Malta. There is an imposing fortress, half-hidden by vegetation, located in the vast grounds of the villa. A centuries-old cedar of Lebanon graces the path leading up to the fortress, and its massive branches overhang the trail.